No winter lasts forever! Put away the snow shovel because the time for spring flowers and gardening has arrived! Spring is a wonderful time to get out of the house, enjoy the warmer weather, and start to come up with gardening ideas. 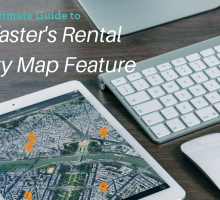 But depending on what type of rental you are staying in, you may not have a backyard. Most apartments, and other shared living spaces will lack a space to add a large garden or greenhouse. 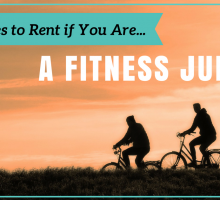 Not to worry, there are lots of alternatives to get you back to nature. 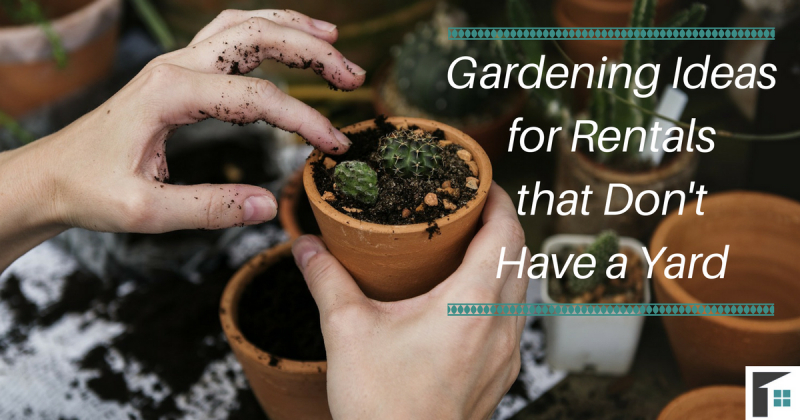 Here are gardening ideas for rentals that don’t have a yard! 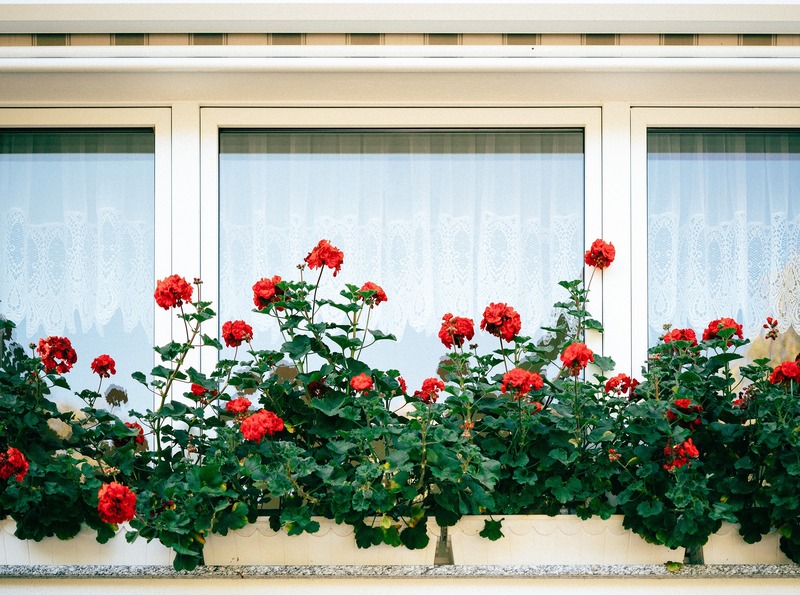 If you have a balcony or a small front entrance, garden boxes are a great solution to adding some plants to your home! These can add colour to your front entrance, or can simply be a solution to growing your own garden vegetables! This gardening idea is also great to hang off of any balcony or deck, when you have a rental that is not on the ground level. Garden boxes are inexpensive and are available at any hardware, home and garden store, or you can create your own. Use wooden pallets or old boards and create a garden box that is a perfect size for your space. Then simply line the box, fill it in with potting soil and plant whatever your heart desires! Check out the DIYnetwork for a simple and gorgeous planter box, perfect for any home rental! If you have no space to have a garden on the ground, why not build your garden upwards? Hanging your pots and planters from the roof or wall allows you to save space (great for those with tiny kitchens and homes). As well, by hanging plants around your home, you are improving the air quality and giving your living space some beautifully natural décor! 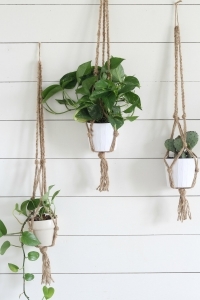 There are a number of different creative options available for hanging your plants, take a look at the following and find a solution that works best for your rental space. If you are interested in growing herbs that can be used in the kitchen, why not keep them there? This beautiful hanging herb garden is out of the way, yet accessible for all of your cooking needs. It is perfect for home rentals that have small kitchens and for those looking to save space. All that is required for this DIY project are some clay pots, paint, rope, curtain hanging rings, dowel, and curtain brackets. 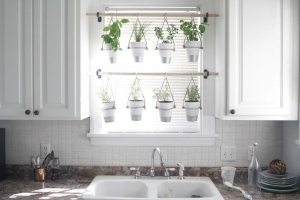 Simply install the brackets into your wall, hang the dowel upon it, and then attach your hanging herb pots! Note: Be sure to speak with your landlord before drilling any holes in the wall. 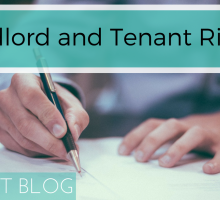 Depending on your rental agreement, you may need specific permission before doing so. There may be no room on the ground and you may not be able to put holes in the wall, but what about your fridge? 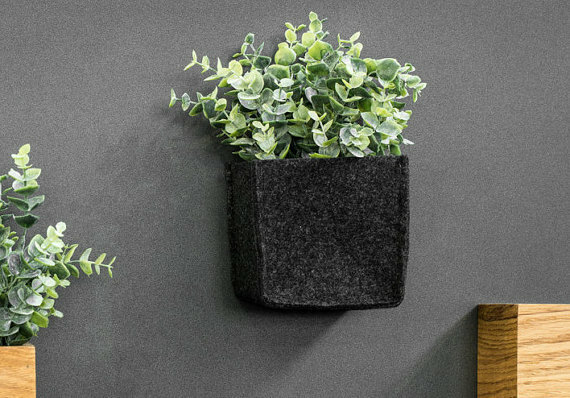 These magnetic planters are a great option to get your greenery out of the way, but still within reach and visible! These are purchasable online, or you can get creative and make your own! All you need is an empty tin can, some strong magnets and some seeds. Your herbs and plants are all located directly on your fridge. Keep in mind that the greenery you choose to put in these magnetic planters should be indoor plants. They do not have direct access to sunlight needed by some garden plants, so they will have to be able to grow indoors with little light. If you are looking to keep your plants up high, pre-planted pots are available at any home and garden center. All that is required to hang them in your home is a hook. If you want to make your own hanging planter pots, simply purchase a pot, a hangar, and some rope to secure the pot in place. Then hang it anywhere in your home for a beautiful mini-garden, made just for you! Need some ideas of plants that can survive indoors? Set up your lights, water your garden, and watch your garden grow! In no time, you will have beautiful plants and vegetables fresh for you to use as you wish! Use these gardening ideas to fill your home rental with the fresh air and greenery you’ve been wanting! 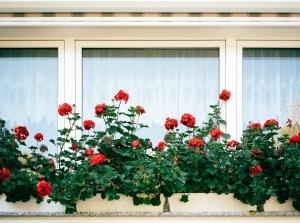 Start this spring and make your home rental the perfect place for plants.